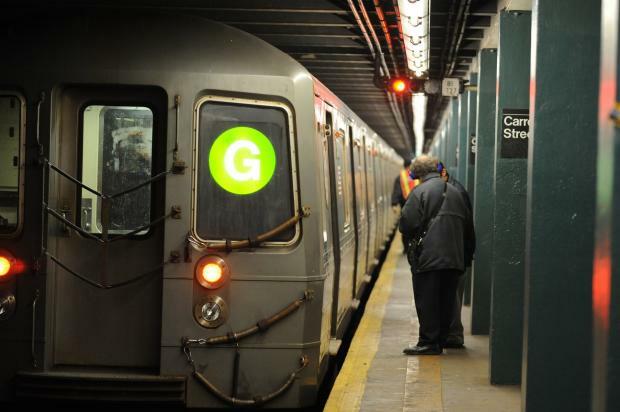 WILLIAMSBURG — The new year means a renewed push for the G train. Determined straphangers plan to gather at noon Jan. 5 at Second Stop Cafe in Williamsburg to collect signatures on their petition for improved service of the Queens-Brooklyn subway. Members of the new transit riders' advocacy group, the Riders Alliance, are requesting more frequent service, better communication with riders, and free transfers to other trains from the G, the organization explained on its website. The action comes after meetings discussing ways to improve service. The transfers would allow riders to switch from the Broadway G station to the J/M stations at Hewes or Lorimer streets, and from the Fulton Street G station to Atlantic Avenue 2, 3, 4, 5 or B/Q stations, the group says. "Help us win a better G train!" the group writes on its event page. But a spokesman for the Metropolitan Transportation Authority claimed that the G train's frequency correlates to the number of riders, and he said that the city was already working to improve communication with straphangers. "Frequency of service and train length are based on customer loading," said Kevin Ortiz, an MTA spokesman. Ortiz said that the city is "continually looking for a means of improving customer information, and in the past few years has implemented an enhanced service-change poster system, web alerts, and text message alerts."